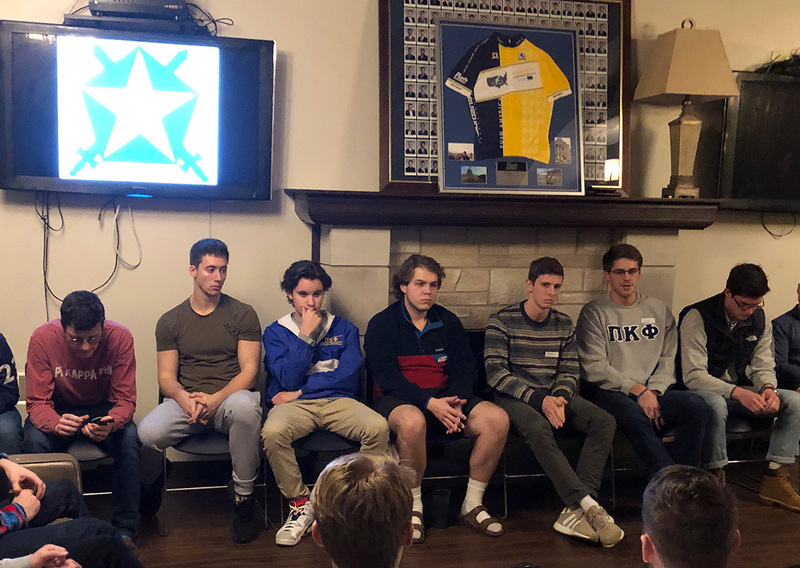 Prospective new members learned about what makes Pi Kappa Phi unique at Purdue – it’s servant leadership attitude, which focuses on serving others. Nearly 40 men who are going through the fraternity recruitment period visited the chapter on Jan. 17, to learn more about the chapter’s philanthropic efforts, particularly though the Ability Experience (www.abilityexperience.org), the national fraternity’s outreach efforts to benefit people with disabilities. Through extensive, year-round programming chapter members serve others through events and fund raising. In 2018, the local Pi Kappa Phi chapter raised $17,434 for the Ability Experience. In each of the last nine years, the chapter has raised more than $10,000 for the cause. Since starting a local fundraising in 1980, the chapter has raised $252,115. Fraternity members also participate in various other Greek philanthropic effort throughout the year. Furthermore, they are heavily involved in the Purdue University Dance Marathon, Big Man on Campus and Old Masters to name a few such organizations. The spring 2019 recruitment period will finish on Jan. 24. For more information about the recruitment process, contact Jack Russell, spring recruitment chairman, rush@purduepikapps.com or russe116@purdue.edu, 501/940-3612.